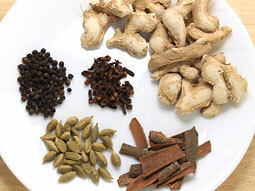 Chai Masala Powder (Tea Masala) is a spice powder used for making aromatic masala tea. It provides a nice aroma and delicious taste to normal milk tea. It has a long shelf life due to its dry nature and hence once prepared, it can be stored and used for many months. Gather all ingredients listed in the ingredients table. 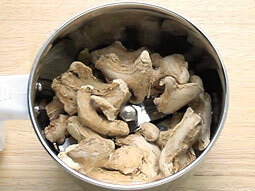 If the ginger pieces are too big, use mortar and pestle to break them into medium pieces. 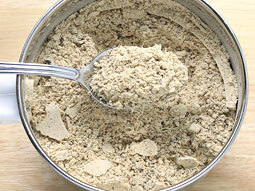 Add dried ginger in the small jar of a mixer grinder or heavy duty blender or coffee grinder. Grind until medium coarse powder. Add cinnamon, cloves, black peppercorns and cardamom. 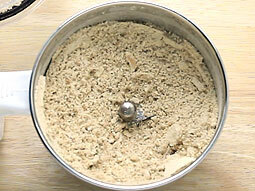 Grind it again until it turns into a medium coarse powder. Do not grind it into very smooth powder. Tea masala powder is ready. 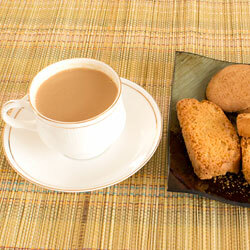 You can store it in airtight container for up to a year and use it to make addictive masala tea whenever you want to. 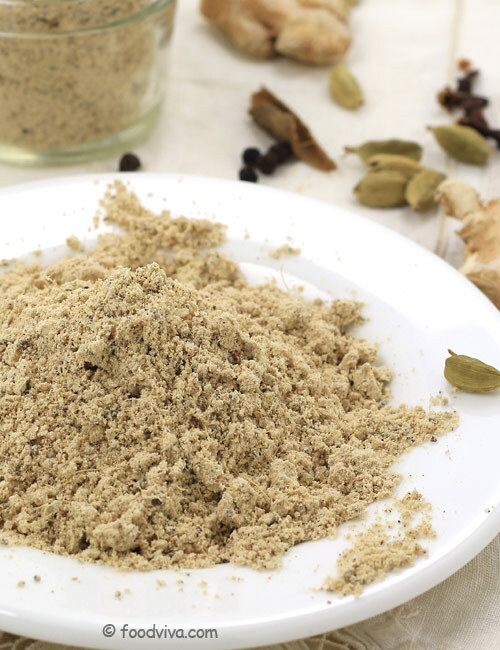 If you don’t like too much ginger flavor, reduce the amount of dried ginger to 1/2 cup. 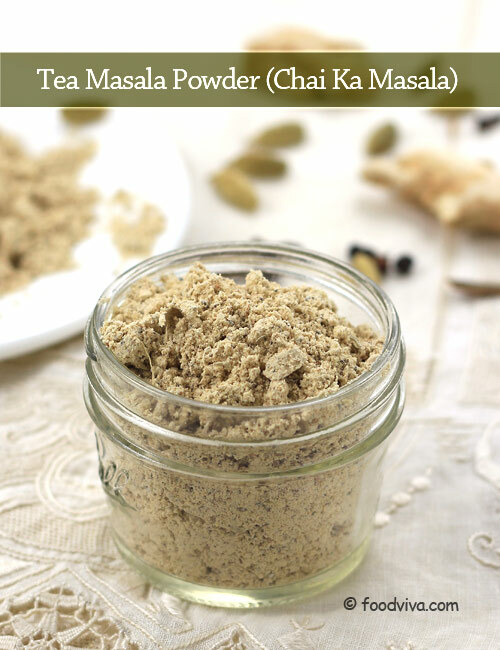 Use 1/4 teaspoon chai masala powder to prepare 2 cups masala chai. You can prepare it in large quantity by multiplying the quantity of ingredients accordingly. hi...I need to ask you. .shall i use cardamom with skin or peel off??? I m waiting for answer. 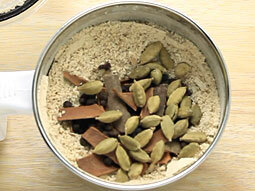 Response: Green cardamom with skin is used in this recipe but you can also use cardamom seeds. If you want to use cardamom without skin (cardamom seeds) then use (5-7 gms) cardamom seeds as a substitute of (10 gms) whole cardamom in the given method.